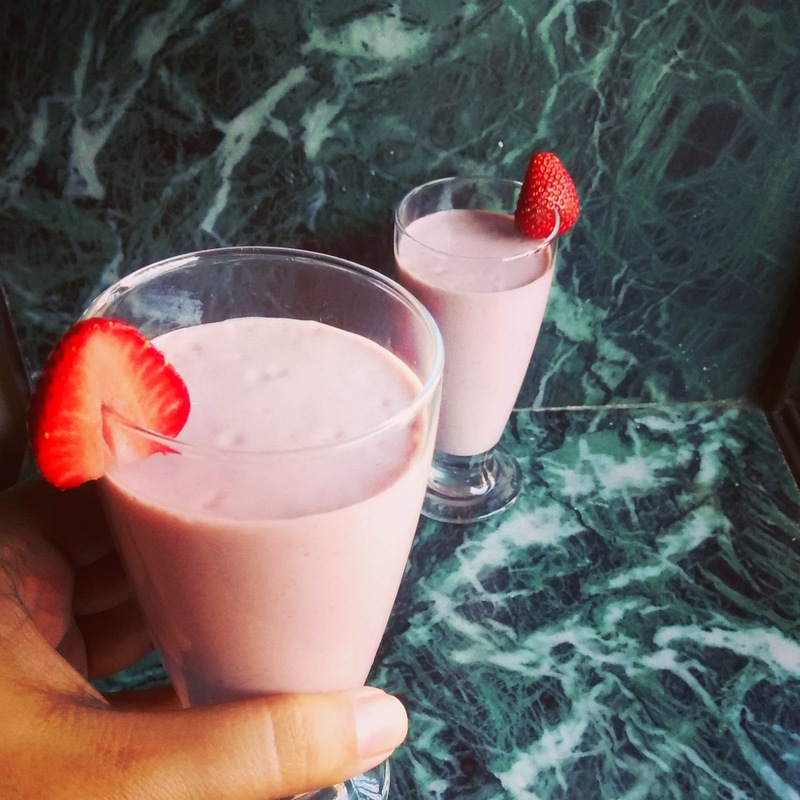 Caramel Wings: Recipe: Oat and Strawberry Smoothie. 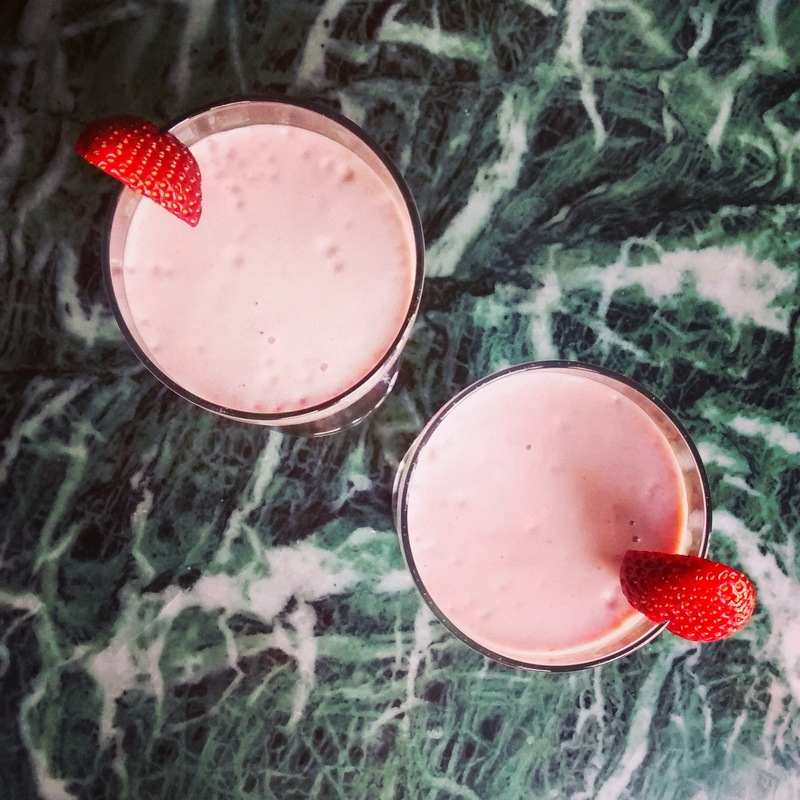 Recipe: Oat and Strawberry Smoothie. There are days when you just don't wanna do anything. Going to work, heading for workout, talking on the phone, sending and receiving emails, none of that. No cooking either. But then you feel hungry and while Chinese delivery seems feasible, your trainer's face flashes in front of your eyes and you decide to stick to a sandwich. Or else, you make this smoothie. I used Oats for this Smoothie, that give them a very thick texture, and while I prefer it that way, you can always make it thinner with some milk. You can also substitute milk with yogurt, soy milk or almond milk. I am very happy to report that these SLITE changes I've made in my life have really been showing results, and that makes me very very happy! Mix the oats with milk and microwave for 10 seconds. Add them along with all the remaining ingredients to a blender and blitz till smooth. Thin with milk if required. Serve chilled!